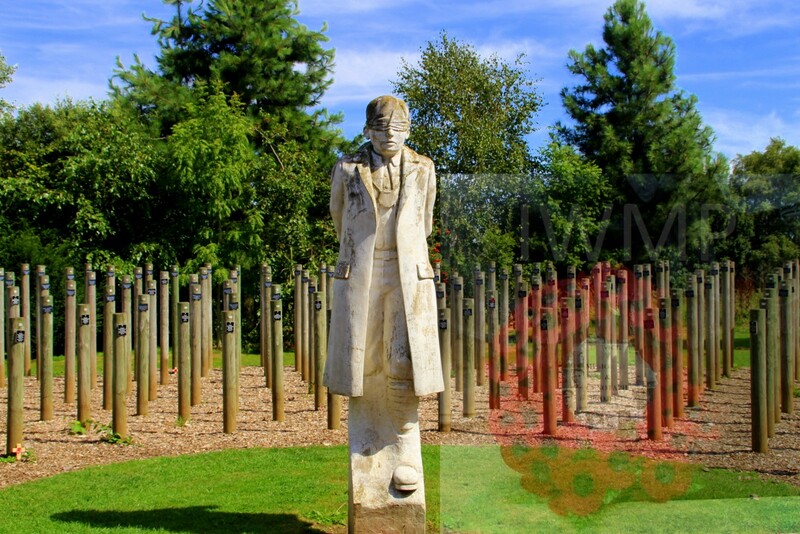 Images from National Memorial Arboretum. Died: 6th February 1917; age 22; Executed for Desertion following a Court Martial. Suzanne Military Cemetery No. 3. Relatives Notified & Address: Son of Charles & Emma Hart, of 101, Fore Street, Ipswich. Benjamin was 5 years old and living with his widowed father, siblings & step sister. Charles Hart, 44, a Moulder, born Havingham, Suffolk. Gertrude Emma Hart, 20, born Laxfield, Suffolk. Ernest Hart, 13, born Laxfield. Ethel Emma Hart, 11, Ipswich. Amelia Hart, 7, born Ipswich. 1911 2, Devonshire Road, Ipswich. Benjamin was 15 years old and living with his father, sister & step sister. Charles, 56, a Moulder – Iron Works. Amelia, 17, Assists at Home. Benjamin’s mother was Emma Hart (nee Turner), born 1860, Whitechapel, London – died 1898, Ipswich. His father, Charles Hart, died 1913, Bosmere, Suffolk. Benjamin is also remembered on the Orwell Works Memorial Ransomes Sims & Jefferies Ipswich. Benjamin was a Territorial soldier sent to the Western Front in 1916. Whilst in action near ‘Brick Stacks’, Cambrin, Benjamin and a number of others were buried alive by an exploding, German mine. Benjamin was found by a comrade with only his feet sticking out of the rubble. From this moment on Benjamin began avoiding any action on the front lines by reporting himself unfit for duty. Medical Officers also passed him as unfit. Over the coming months whilst his battalion was serving on the Somme, at High Wood, Benjamin fell foul of the system by either refusing to go back to the front or by absenting himself. He was charged on a number of occasions but managed to avoid a capital sentence. On 13th December 1916, after the Battle of the Somme was over — but the front would still have been dangerous. Benjamin’s platoon was warned for front line duty. Ultimately they were marched out with his absent. He gave himself up at Bray sur Somme, two days later and was placed in detention prior to a Court Martial for Desertion on the 28th December. Medical examination failed to find anything wrong with Benjamin and the commanders up the line recommended that in view of his previous convictions that the death penalty should be confirmed. His Platoon Commander 2nd Lieutenant Charles Stormont-Gibbs MC had made him a servant in the hope of keeping him away from battle as much as possible. He later recalled that everybody refused to take part in the firing party — which had to be carried out by other troops. Stormont-Gibbs would write a book about his experiences: ‘From the Somme to the Armistice‘, and would mention the incident.